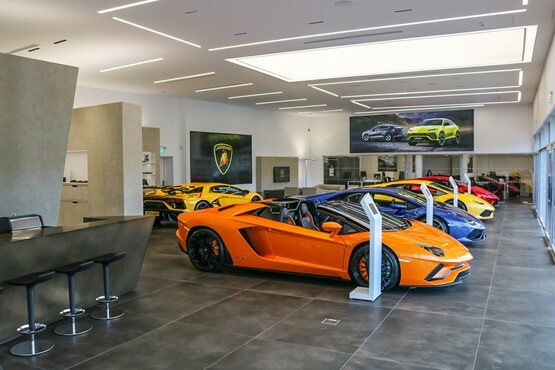 Sytner has expanded and refurbished two of its Lamborghini dealerships in the UK as part of a multi-million pound investment to meet the Italian supercar brand’s new corporate standards. The Birmingham facility re-opened on April 4, followed by Lamborghini Edinburgh on April 5, to continue a comprehensive makeover of Lamborghini's UK retail network. 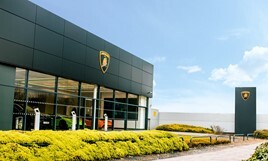 Both Styner dealerships have been established, as part of Lamborghini’s 10-site dealer network, for more than a decade, but work at the sites has resulted in the creation of "new showroom environments fitting of the brand", according to Richard Wynn-Jones, divisional managing director of Sytner Group. “Lamborghini is one of the most significant marques in our franchised dealer portfolio," he added. The new showrooms provide more display space for new and used cars; making room for the brand’s expanding range, which includes the recently launched Urus SUV. More than 300 guests including Automobili Lamborghini representatives and owners attended the two launch events, where the latest models to be unveiled, the Huracán EVO coupé and Spyder, were also presented. “Our Birmingham and Edinburgh outlets are two very important dealerships for us in the UK,” said Automobili Lamborghini EMEA chief executive, Andrea Baldi. “Sytner Group has made a considerable investment in these two locations, which is a testament to both the continuing success of our brand and the vision of our partner. "Not only does Lamborghini appreciate the professional and exciting presence of our brand in both Birmingham and Edinburgh, but so do our growing number of Lamborghini clients." 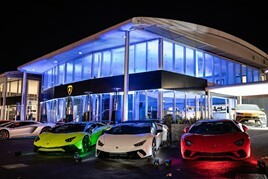 Sytner's investment in the Lamborghini franchise comes just five months after Cambria Automobiles marked a new milestone in its luxury-leaning franchise strategy with the opening of its second Lamborghini dealership in Tunbridge Wells. Cambria welcomes Automobili Lamborghini chairman and chief executive officer, Stefano Domenicali, to the new facility for an official opening event in November. Speaking at the time, Cambria Automobiles’ chief executive, Mark Lavery, said: “I am pleased to have officially launched Cambria’s second Lamborghini dealership following the successful opening of our Chelmsford operation earlier this year. “It was an honour to host Stefano Domenicali in Tunbridge Wells last night and to give guests the chance to see our fantastic new facilities, along with an exclusive glimpse of the Lamborghini Aventador SVJ Coupé. UK is the second largest market worldwide for Lamborghini, after the USA. Automobili Lamborghini delivered a record 5,750 cars to customers globally in 2018, the year that the Lamborghini Urus made its dynamic debut, with 2019 seeing the first full year of the SUV’s production. At its launch the Urus was already forward sold by 12 months, with more than 70% of buyers new to the Lamborghini brand.